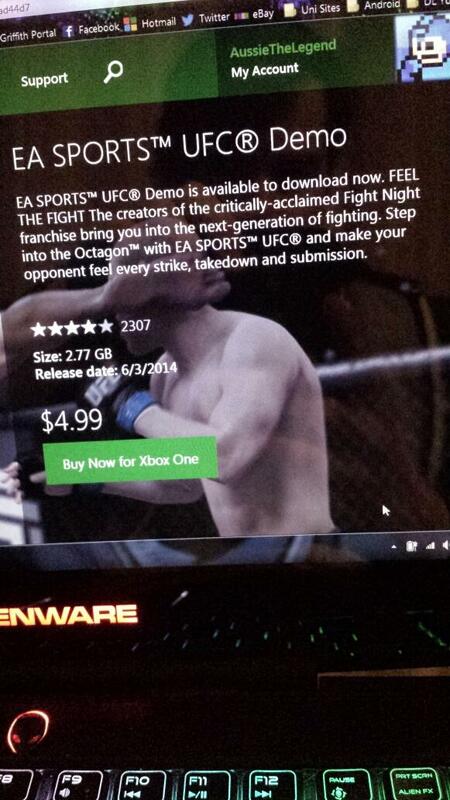 EA Sports UFC can be sampled in demo form on Xbox One, but as one reader has pointed out, the demo comes with a price tag on the Australian store. There you go. They’re now free again. 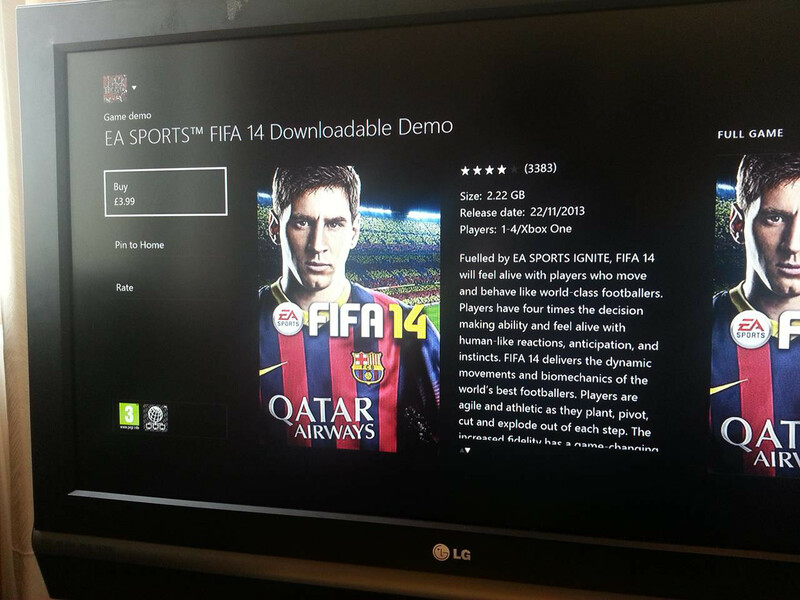 Polygon has cited an EA Australia rep as saying the priced FIFA 14 and UFC demos are due to a system error. When I called our UK EA rep, they told me there was no official comment on the matter. 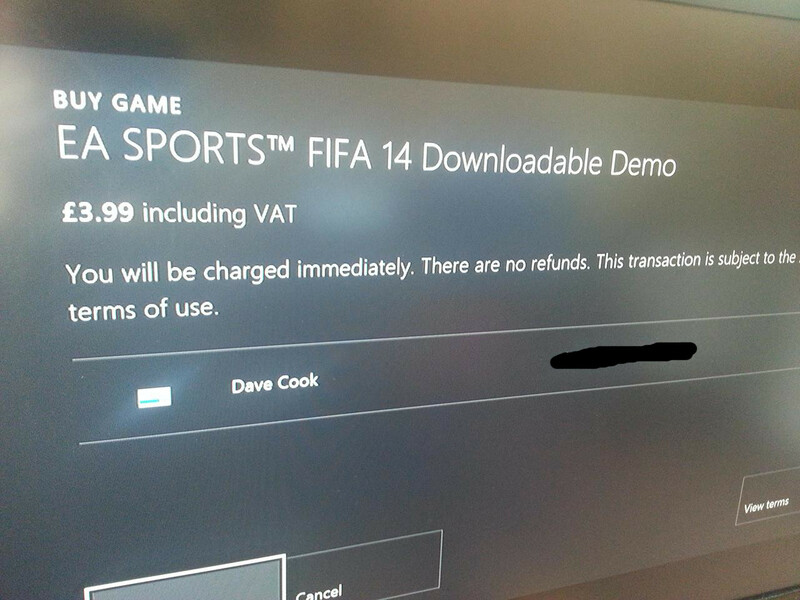 I just tried to buy the FIFA 14 and UFC demos from the UK Xbox One console store, and it tried to charge me £3.99. Stay tuned, we’re expecting a statement from EA later today. It’s official. Both demos cost £3.99 in the UK as well. I’ve emailed EA to see if we can get an explanation. Here’s a another paid demo tweet, courtesy of @RaygunBrown. The image comes from Aussie_Legend on Twitter. Thank you good sir. We’re guessing this is a mistake, but in the wake of Dungeon Keeper in-app purchasing controversy, and other money based hilarity out of EA, this doesn’t look great.